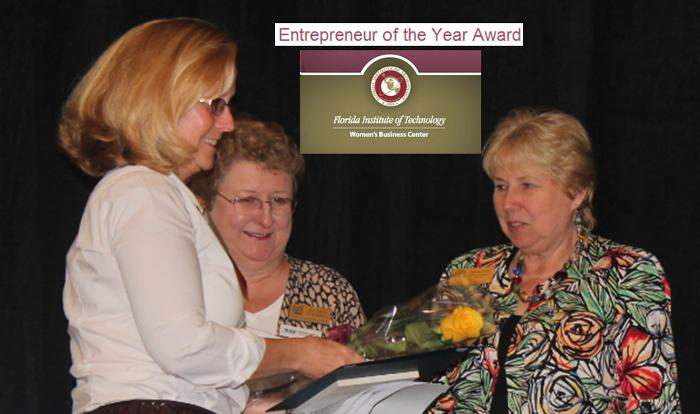 Our very own SCWID/VP, Susan Glasgow (left), Kegman Inc, President/CEO, was honored as Entrepreneur of the Year by the Florida Institute of Technology, Women’s Business Center today. We are very proud of Susie, she is a leader of a fast growing Women Owned Small Business and at several community organization including; Career Sources Brevard and the Space Coast Women In Defense. She has grown Kegman Inc from a company generating revenue of $20 K dollars a year in 2011 to over $1.4M dollars in 2014–self capitalized, Kegman is poised to nearly double again in 2015.